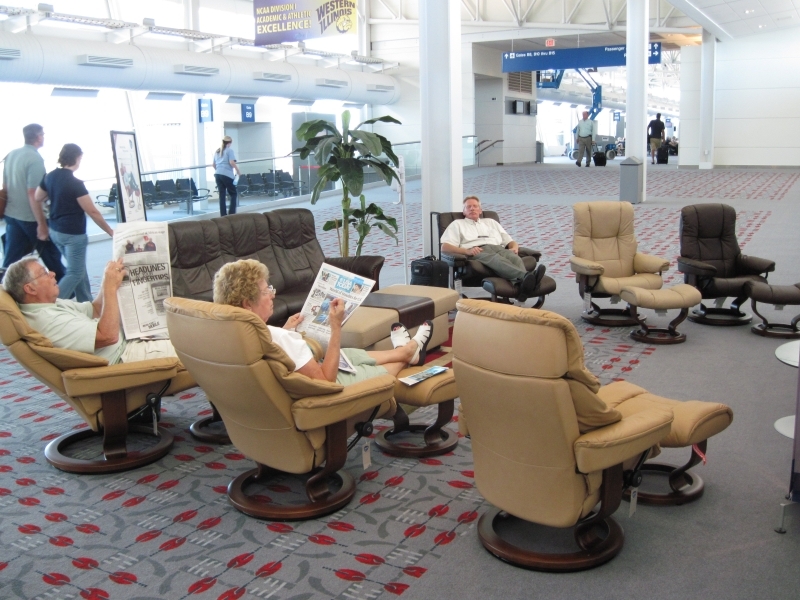 It’s the most popular seating area on the concourses. 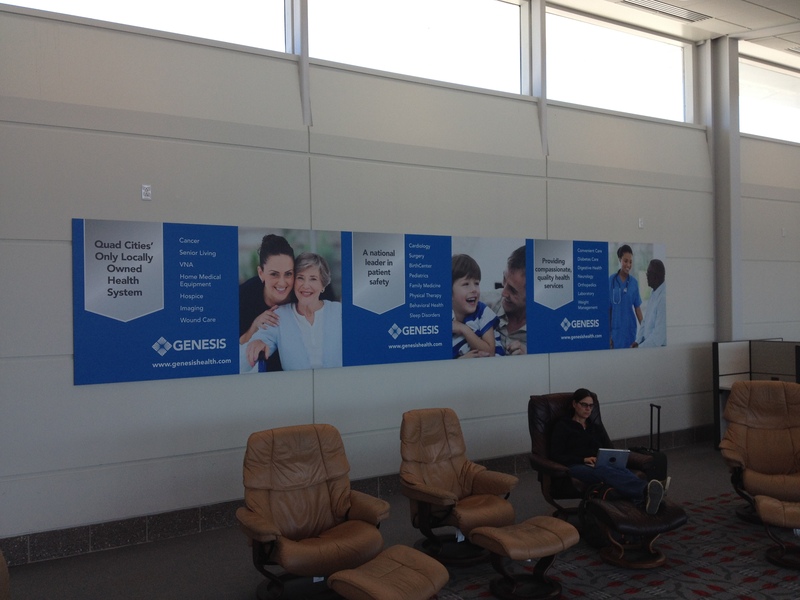 21′ wide x 47″ tall signage on Concourse B overlooks the Stressless seating area. Three printed panels make up the 21′ wide x 47″ tall wall display. Electrical outlets on the wall are available for advertisers who wish to power up a their own signage presentation. 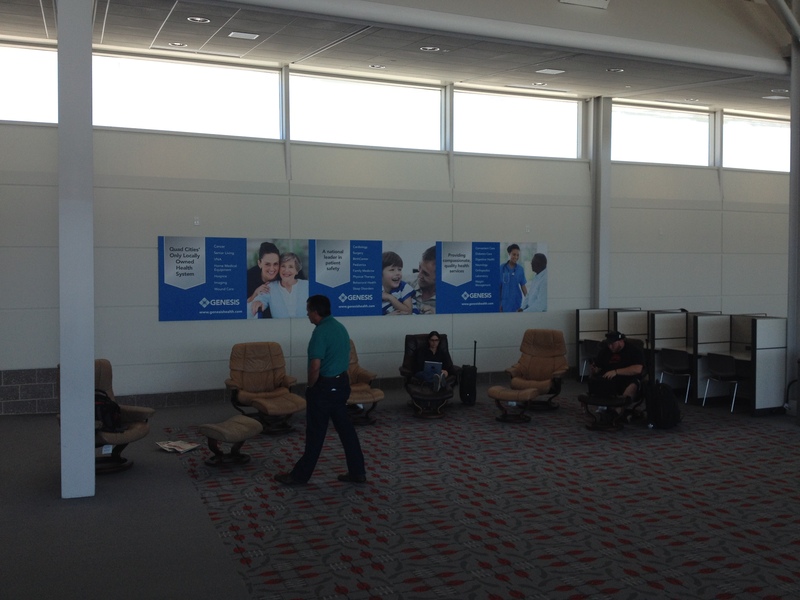 Beginning with new advertisers, the airport will return the chair assembly to face the wall and advertising signage as in picture below. One time production from camera ready art for 21′ wide x 47″ tall full color printed Arlon, matte deep crystal on 6mm black sinter with 5 v-clips and installation is $1,950.